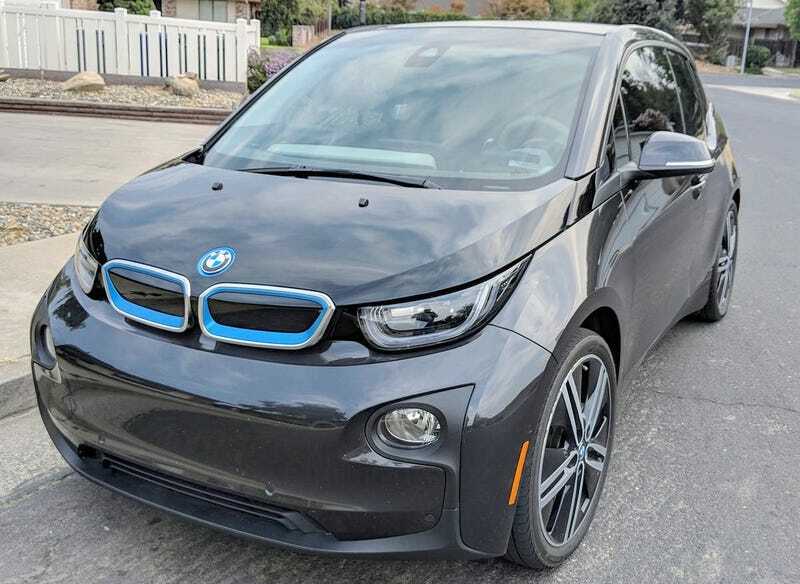 At $15,500, Could You Get a Charge Out of This 2014 BMW i3 REX? The original MSRP on today’s Nice Price or Crack Pipe BMW i3 was over fifty-five thousand dollars. Like all limited range electric cars, the i3’s depreciation is extreme. Let’s see if this one’s current price might make that downward spiral a fun ride at least. When you are close to perfection, it’s hard to imagine ways to improve. I know that’s an issue I face on a daily basis. That’s also an issue confronted by Mazda’s sassy little roadster, the MX5 Miata. Long considered the answer to all that ails you, the question of how to improve upon its near-perfection is one that has long stymied the world’s greatest thinkers. Having solved everything else, it’s rumored even Stephen Hawking was working on that quandary at the time of his death. The obvious answer to the immutable Miata question is of course, to add horsepower. And, as we all know, there’s no substitute for cubic inches. Um, that is, unless it’s cubic centimeters. Last Friday’s 1995 Mazda Miata had it covered both ways as under its hood resided a Ford V8 that alternatively could go as a 302 or 5.0. That American muscle added to the Miata’s perfection as also did its seemingly modest $7,500 asking price. So complementary was that price that it earned a narrow but respectable 58 percent Nice Price win. So, if we today say ‘there’s no substitute for cubic inches’ when delineating performance improvement, what pithy bon mot will we use when all our cars are electric? Kilowatts are killer? Ampre Über Alles? I sure as hell don’t know, I still smell like gasoline. The road to an all-electric future is seemingly paved with the many half-way steps it is taking to get us there. Electric cars have been around since the inception of the automobile industry, however the inefficiency of their mode of energy storage has long relegated them to also-ran status. Pound per pound, gasoline is a pretty efficient means of energy storage, and it takes 33.70 kWh of electricity to equal the output potential of one gallon of gas. That gallon of gas weighs around 6.3 pounds while the comparable output electric car battery tips the scale at several times that. It’s the size and weight of the energy containment mechanism that has long held back the electric car. Today we have a number of electric cars on the market, as well as a few that include an onboard generator as one way to extend their range. The other way to do so is by adding (literally) a ton more batteries, which is what Tesla has done with their electric cars, and what GM is doing with the Chevy Bolt. Both of these are mechanisms to overcome the dreaded ‘Range Anxiety’ that has plagued drivers of the majority of electric cars that have been offered in the last few years or so. These cars, like the Nissan Leaf, VW eGolf, and Fiat 500e typically allow for a safe range of between 85 and 150 miles between a charge. Of course extraneous factors like ambient temperature, hills, or the lack of opportunity for regenerative braking can drop that range significantly. It’s that limited range that has caused values of this generation of electric cars to plummet. Look at prices on a four year old Nissan Leaf and similarly sized, but gas engine Sentra and you’ll see a substantial difference in the percentage of the drop. Another victim of range anxiety affecting valuation is today’s 2014 BMW i3 REX. BMW introduced the i3 in 2014 as a tour de force reimagining of both the automotive product and the way it is constructed. Utilizing innovative materials—many of which are post-consumer recycled—the i3 looks, feels and works like few others. Offered in pure electric form with a feeble 80-mile range from its underfloor 60 Ah battery pack or around 170 miles with the addition of a 647-cc two-cylinder gas-powered REX onboard generator, the i3 was also like no BMW that had come before. That gas engine adds about 260 pounds to the i3’s svelte 2,635 fighting weight. On the 2014 model it also could only use 1.9 gallons of its 2.4 gallon gas tank here in the U.S. due to some goofy regulations set by California’s Air Resources Board. This i3, in Laurel Grey Metallic over a biscuit and grey interior seems to have held up well, thus proving the durability of BMW’s recycled material interior elements. The ad notes that it’s a Giga World edition. That’s the mid-level of the three worlds—Mega, Giga and Tera—and that provides niceties like a roof through which you may moon, leather and wool interior trim, and model-unique 19-inch wheels. A word about the i3’s wheels and tires. At present I think you’re pretty much limited to Bridgestone Ecopias and those are different sizes (155/70R19 front/175/70R19 rear) front to back so their wear can’t be extended through the standard practice of regular rotation. Another oddball thing that seems to be common with the i3 is the presence of electrical issues. One of my buddies has leased a 2017 i3 and has kept a log of issues that seemingly appear and disappear on the car as though it was haunted. The seller of this 56,000 mile edition makes no mention of any mechanical or electrical tomfoolery, instead using his ad to denote the car’s features and kit. He says that it suffers from parking lot scuffs and scratches and adds that the windows have been professionally tinted, a saving grace for the overburdened A/C. The car comes with a clean title and a 110V charging cable in case you ever wanted to spend a week getting the batteries up to snuff. The asking price is $15,500 which represents about a $40K drop from the original MSRP. That’s pretty astounding after only five years. Worse, that’s most likely going to keep on dropping. As more and more long-range electrics hit the market, even innovative machines like these will eventually be kicked to the curb. The question for today is: could $15,500 be a sweet spot to get on that elevator down? Is this i3 interesting enough to spend that kind of cash to experience it? Or, does this REX equipped electric still give you price anxiety? Merced, CA Craigslist, or go here if the ad disappears. H/T to Fauzshizzle for the hookup! At $7,500, Does This 1995 Mazda MX5 Have You Saying "I Could’ve Had a V8"? At $24,987, Could This 2014 Cadillac ELR Rock You Down To Electric Avenue?